Dr. DeJarnatt is a native Tennessean, born and raised in Fayetteville, Lincoln County. He received his degree in Biology from Abilene Christian University, after which he completed his medical training at the University of Tennessee, Memphis. Following a three year residency in Internal Medicine at Texas A&M University, he completed a two year specialty fellowship in Allergy and Immunology at the University of Texas, Galveston. 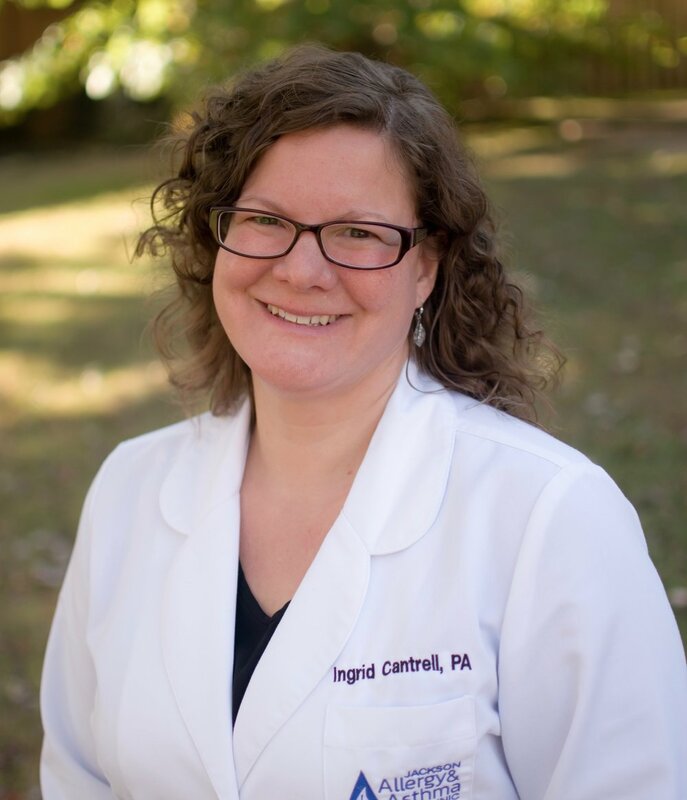 Dr. DeJarnatt is board certified in Internal Medicine and Allergy and Immunology and is qualified for the care of all allergic diseases in adult and pediatric patients. He has provided medical care for the patients of West Tennessee for 26 years. Dr. DeJarnatt has extensive experience in clinical research, has published papers in peer-reviewed journals, and enjoys lecturing on topics related to allergy. He is a member of the Tennessee Society of Allergy, Asthma, & Immunology, the American College of Allergy, Asthma, & Immunology, and the American Academy of Allergy, Asthma, & Immunology. Ms. Cantrell was born near San Juan, Puerto Rico and grew up in Orlando, Florida. She completed her undergraduate studies at Florida State University and then moved to Tampa Florida to complete her Master's degree in Public Health. She later worked as Southeast Program Director for the Asthma and Allergy foundation of America (AAFA) before receiving her Masters in Science with a Physician Assistant degree from Trevecca Nazarene University in Nashville, Tennessee. Ms. Cantrell moved to the Memphis area in 2004 and has worked as a Physician Assistant in Allergy and Asthma since July 2008. She is a member of the American Academy of Allergy, Asthma and Immunology, American Academy of Physician Assistants, the Tennessee Academy of Physician Assistants, and the Tennessee Society of Allergy, Asthma & Immunology. Mrs. Cantrell is bilingual (English & Spanish).